Nissan’s normally come with a reverse camera as standard, but sadly this is very low resolution and customers just don’t feel confident reversing such a large vehicle. This is when a customer seeks help reversing they normally turn to a set of professionally fitted rear parking sensors. 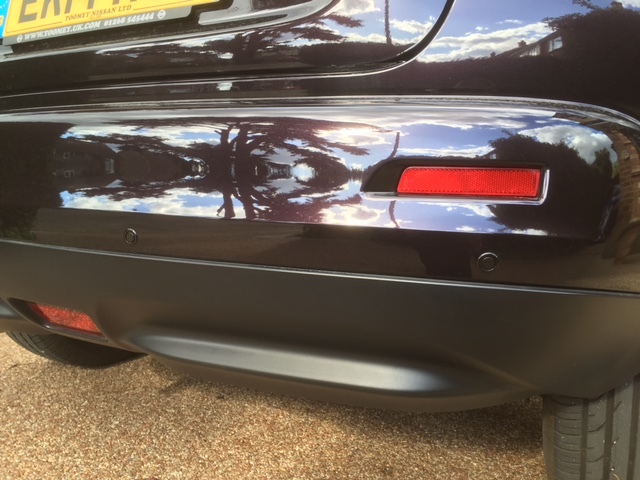 These look extreamly neat and sleek along the rear bumper and can be colour coded to match the bodywork of your exact vehicle. The sensors consist of of a buzzer inside the vehicle, which will bleep and faster the closer you get to an object. The rear parking sensors start detecting objects from 1.5 meters away. The sensors go to a constant tone when you are 30 cm’s / 12 inches away from an object. All our parking sensors come with a 3 year warranty as standard giving you complete piece of mind when buying from us. We are fully mobile and come to you in the Essex area.